Now that Microsoft has finally released Windows 10, plans for a migration, whether as an upgrade or along with a PC refresh, are starting to take hold. There are many important factors to consider when moving to Windows 10. Here we cover three Windows hygiene areas that should be reviewed before moving to a new Windows 10 PC. Clean up and organize your data. Don’t migrate a mess. Over time, all of us tend to save documents, photos, or other files in places on our hard drive that we didn’t mean to. Although Laplink PCmover can find your files, photos, and other data wherever on your hard drive they may be, it’s worth it to set aside some time to before moving to a new PC to organize and clean up your data. You may want to get your photos organized into a single library by date or trip. You may want to organize some of your documents and spreadsheets by project. Now’s the time to “clean house” before you “move in” to your new PC. A related consideration is that, for the first time, your new Windows PC may have a smaller hard drive than your old PC. How can that be? Many new PCs are now coming with solid state hard drives, or SSDs. SSDs are substantially faster and are not prone to mechanical failure. They hare, however, more expensive on a per gigabyte (GB) basis. Your old PC may have had a 500GB traditional hard drive but your new Windows 10 PC may have only a 250GB SSD. One solution is to move some types of large files, such music which is large in aggregate or movies which are large individually, to an external hard drive. This should be completed before doing a migration to the new PC. Backup your data. It should go without saying, but backing up your data before performing any type of Windows 10 upgrade or migration is very important. If you are already on a regular backup plan, congratulations. But that may be only half the requirement. Most standard back up plans and programs only back up your data. Because you’re moving to a new operating system and moving not just your data but your applications and settings, you’ll want to back up your entire computer. Not just the data, but the entire hard drive. File-based back up programs are not sufficient for this task. Instead, backup your entire computer using an image-based backup solution, such as Laplink DiskImage. Protecting your old PC with a perfect image of all your applications, files and settings is the only true disaster recovery solution. While the chances of a true disaster during a migration are very slim, prudence here is the better part of valor. Taking an image-based backup of your old PC provides a way to quickly and easily restore your PC and recover damaged or lost files in the case of an emergency. Plus, after your migration to Windows 10 is complete, you still have a perfect backup to protect you. Update your applications. Moving your compatible applications from the old PC to the new PC is the simplest way to be ready to work on your new PC right away. Migrating applications, instead of installing them anew, retains all of your settings in those applications. More importantly, migrating applications means you don’t have to worry about finding the old install DVDs and license codes. But before you migrate, make sure all the applications are up to date. On the old PC, go to Windows Update for Microsoft apps and, for apps by other publishers, open the application and run a check for updates. Make sure all the apps you want to migrate are up-to-date before you do your migration to Windows 10. We hope you’ve enjoyed reading about marketing tips for Resellers. Together, the marketing channels and suggested tips and graphic elements create an enhanced offering that will give your customers the information they need when they’re ready to make a decision. Two out of three shoppers say they’ve abandoned a sale because they couldn’t get the information they felt was necessary. For users who plan to perform the upgrade themselves, Laplink provides a free 24/7 hotline, which helps users through the process. The Free Transfer Assistance focuses on the user experience and helps them achieve a successful migration. If users are not completely satisfied with a software product they purchased, Laplink offers a no-hassle 30-day money back guarantee. With the release of PCmover version 10, users who currently have PCmover licenses can upgrade to version 10 for free when they check for updates. PCmover is the essential tool for moving all files, folders, applications, and personalized user settings from an old PC’s operating system to a new operating system quickly and easily. Using our recommended marketing tips and tools, you’ll be able to capitalize on the opportunity presented by the Windows 10 release, and offer your clients a valuable product that will make their migration easy! Clear, high-resolution images are just as important as words in a product page, as they let shoppers “experience” your product. In addition to product shots, quality content that can be picked up on social media and blog posts and shared among your followers can include lifestyle images, which show your product in use, helping customers better picture how it will fit into their lives. A good resource for generic images like this is iStockPhoto.com by Getty Images. Logos and other branding elements are also key, as they quickly tell the customer whose product they are looking at. We also recommend product comparison charts showing why Laplink’s PCmover is the clear winner. A comparison chart’s main purpose is to tell customers at a glance where a product fits in with your company’s offerings, guiding them closer to the right choice for them. The first format for marketing we recommend is social media. The best part about it is that getting your company on social media is free, unlike other marketing methods. And if you’re not already connected with us on the major platforms, you can connect with us here, here, and here. We post relevant updates, articles, and promotions. According to Altimeter, only 34% of businesses feel their social strategy directly correlates to calculable business outcomes. To demonstrate social media’s value, you need to measure social media’s return on investment (ROI) as it relates to your overall business goals. Social media channels are an easy, effective way to connect with your audience and get them to engage. The brand awareness created by social media—seen in metrics including “likes” and “Retweets”—is valuable, but not enough. Once you’ve established your social media goals from the above list, you’ll need to use tools that help you measure the ROI on your social media. The easiest tool that we recommend is Google Analytics. With this installed on all of your sites, you can track website traffic, on-site conversions, and sign-ups originating from social media campaigns and posts that you publish. You should be checking your various social media metrics frequently, often daily, to ensure that your social media goals are being met. The lifecycle of social media campaigns is often very short, so you need to stay on top of the data as it happens. Choose a timeframe that works for you, and stick to it.Once you’ve set your goals and installed Google Analytics, you’ll want to spend some time actually tracking your social media ROI to prove the success of a campaign. Pro tip: You can have reports sent to your email inbox on specific days of the week so you don’t have to even remember to pull reports yourself. Once you’ve identified what works and what doesn’t work on social, adjust your strategy. And due to the short life span of social media campaigns, a failing campaign should be changed and improved as soon as possible. Always remember that social media is never static. To meet your social media ROI goals, you’ll need to constantly update and adapt your strategy taking into account the analytics data you’re tracking. By posting regular, valuable content that your audience can relate to, you will expand your reach of followers, and send people to your company’s website. From there, they will take steps to become a sales lead, a member of your newsletter, or purchase your product directly from your website’s shopping cart. This 5-part blog series will outline some tips and tricks you can use to creatively market Laplink’s products to your audience as a reseller (partner). Most of our partners are a small to mid-sized business with limited marketing resources necessary to get hundreds of thousands of eyes on your marketing messaging. So what’s the best, most effective, and affordable way to reach your target audience, drum up new business, and attract new clients or amp sales without breaking the bank? Similar to Zillow, the online real estate giant, we propose a content-based approach to marketing that, if executed effectively across all channels, will result in new revenue for your company. That’s because in today’s world of marketing, buyers crave information; they are more willing to read something than wait for a pop-up ad to tell them what’s on sale on a brand’s website. Now is your chance to publish useful, timely, engaging content. We are going to help you by recommending how and where to publish content with suggestions in the next blog posts. With Laplink DiskImage you can make a backup or image of entire computers, single drives or files during running operations. By restoring such an image or backup later, a user has their normal and familiar working environment back again in a short space of time. The Hardware Independent Restore feature enables a system restoration onto machines with different hardware setups. This means a system image or a clone cannot only be restored onto Server and Desktop PCs with identical hardware, but also onto hardware where the processor or motherboard has been changed, for instance. We call this function the Hardware Independent Restore. It is in enormous demand from customers and not nearly as complicated as you may think. Unlike most of our competitors, Laplink does not charge any extra for this comprehensive function. It is included in the very competitive price of the product Laplink DiskImage, from just $39.95 for a full version with no time limits. Windows operating systems must be compatible with a variety of hardware platforms. This portability is achieved through a special layer within the operating system, which is responsible for the management and control of hardware, architecture and machine-dependent devices, such as the I/O interfaces, Interrupt Controller and multi processor communication mechanisms. This layer is commonly installed on and aligned to the current hardware on an installed and running Windows. If the hardware is exchanged, it becomes necessary to align the layer accordingly, to ensure smooth and continued functionality of the operating system and the programs installed. Laplink announced today that PCmover has been selected by Microsoft as its recommended migration solution for Windows users, with a free download of PCmover Express for personal use available here. The free offer for PCmover Express will be available on Windows.com in 18 markets beginning today and expiring August 31, 2016. The offer is available for personal, non-commercial use. It requires the destination PC to be running Windows 8.1 or Windows 10 and not joined to a domain. Commercial users can purchase a license for PCmover Express that provides commercial use rights for about $20. While PCmover Express does not transfer applications, that functionality is provided with PCmover Professional as an available upgrade. We previously worked with Microsoft to provide Windows users with migration software in support of Windows XP customers moving to new Windows PCs. Extending this relationship to Windows 10 was an easy decision. We’re fully committed to this Microsoft partnership in support of all Windows users. Our latest version of PCmover makes it easier than ever for customers running Windows XP, all the way to the latest release of Windows 10, to migrate their personal files, folders, and other settings to their new PC. We’re seeing strong demand for Windows 10 by both consumer and commercial customers. And as customers buy new Windows 10 devices, we believe they will discover Laplink’s migration solutions provide great choice and flexibility, saving time and money for consumers, SMB, and enterprises. 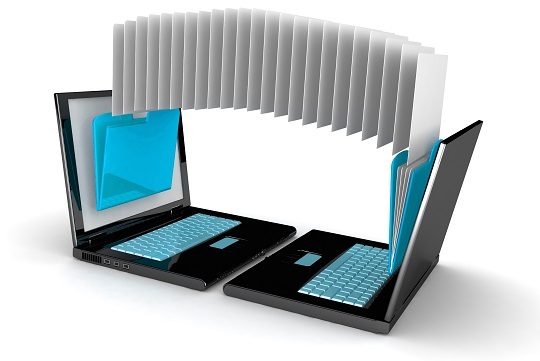 Transferring your personal files, folders, and other settings to a new PC can sometimes be time-consuming and difficult. But our PCmover software provides an easy-to-use solution with a wizard driven interface, allowing users to automatically transfer selected user profiles, files, and settings to a new device from an old PC. We also offer Free Transfer Assistance, providing certified experts 24/7 to assist with migrations. For larger organizations, we offer an enterprise version of PCmover, which allows IT to manage migrations even for unmanaged PCs. Already in use by thousands of major companies and organizations, it continues to be the fastest growing enterprise migration solution. Complimentary evaluations of PCmover Enterprise and more detailed information is available from our website.